Just received an email from AOL about putting all the fees up! Mine is being increased to £19.99! It means £5 per month extra for me and I am still in a 18month contract so I can't do much about it! As you may know, from 4th January 2011, the government is increasing standard VAT from 17.5% to 20%. This change will be applied to your monthly package fee, any call charges you may incur and all other VATable charges. Your monthly package fee will also change to £19.99 a month including the new rate of VAT. �	The monthly fee that applies if you pay your bill using a one-off payment method (as opposed to having a Direct Debit or monthly recurring card payment set-up) will change to £4.50 per bill payment. �	The monthly fee that applies if you pay your bill by monthly recurring card (not Direct Debit) will change to £1.99 per bill payment. That was hardly a detrimental change, which is the only cause for cancelling the contract. I'm really worried, upset and angry. Looks like a contract means nothing these days. We break the contract - & - We get punished! AOL breaks the contract - & - What can we do? AOL Upto 24mbps .. Broadband - & - Phone! Oh! .. What Have I Done? We are not the only ones, on another forum I have found lot's of others who have had this email, some have spoken to AOL about it and they just won't budge on the price, this is quite different from times in the past when you could phone AOL and complain and they would quickly offer a lower rate! I wouldn't mind if I got a good service but I only get about 2Mb now. I have been with AOL for 10 years and for the last 2 years have paid £9.99 for BB and telephone and I also had a email saying because of VAT increase it is going up to £19.99! When I queried it all I got was the Government increased the VAT! I am still fighting it but expect I am facing a brick wall. Because we have a B & B our email address is in all sorts of publications so changing it is not an option. I don't think the new price even includes the phone although we are light users. 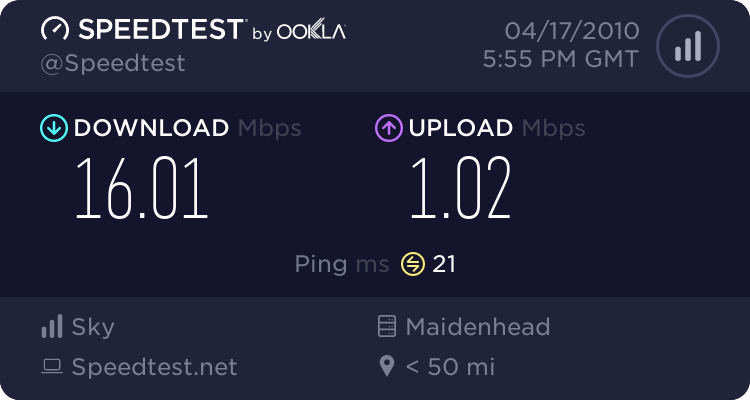 It would be nice if I actually got the speeds they promise!!!! These are the pitfalls of long contracts and MPF. It might sound a good, cheap option at the time but it rarely is. TBH When they offered me a lower price £14.99 for an 18 month contract I thought (mistakenly) that I would be paying them £14.88 during that 18 month period whereas in actual fact they could offer a rate for a contract then increase the cost a few weeks later. TBH it looks like a devious practise to me! If they offered you an extended contract on the basis of price alone then any increase in that price (Excluding statutory increases such as VAT) constitutes a material change and voids that contract.